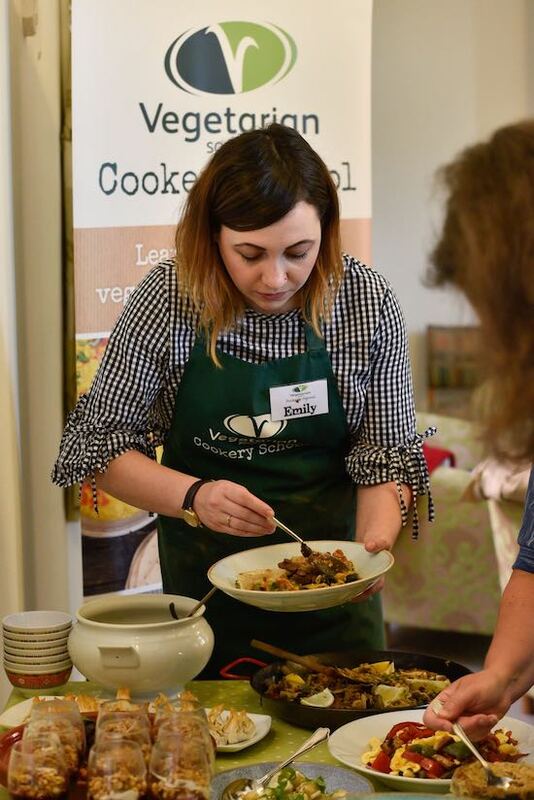 Emily's Recipes and Reviews | UK Food Blog | Leicestershire : celebrating the new vegetarian society approved vegan trademark at their cookery school. 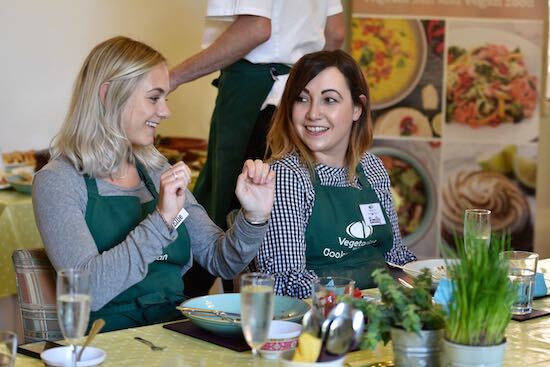 celebrating the new vegetarian society approved vegan trademark at their cookery school. From fancy filo desserts to a decadent dairy free chocolate cake, a couple of weeks ago I went along to The Vegetarian Society near Manchester to swot up on the basics of vegan cookery. The occasion? The Vegetarian Society are celebrating this Summer's launch of the official Vegetarian Society Approved vegan trademark to help shoppers navigate the shelves for their plant-based favourites. Established in 1847, the charity are dedicated to helping those who want to embrace a meat-free lifestyle, and help those that are already vegetarian or vegan. The recognised Vegetarian Society Approved vegetarian trademark is a smart way of helping veggies to rest assured that the product has met their criteria. Now as many vegetarians turn to a dairy and egg free diet, the fancy new trademark can help newby vegans (and perhaps old school veggies) have peace-of-mind that products are 100% vegan. Since there are print runs to wait for on large scale packaging it'll take a while, but you'll soon be spotting them on your favourite vegan brands! It couldn't have been a better way to celebrate - thoroughly enjoying my day with some likeminded bloggers and learning lots of vegan cooking and baking skills along the way! The professional kitchen is host to a variety of classes, mostly ran by vegetarian and vegan chefs Alex Connell and Jonathan Smith. 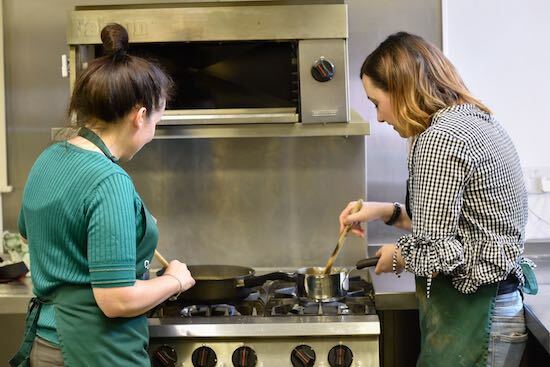 The charity often work with the community on projects such as helping families learn the basics in preparing fresh produce and how to improve their meat-free and/or gluten free cookery skills. 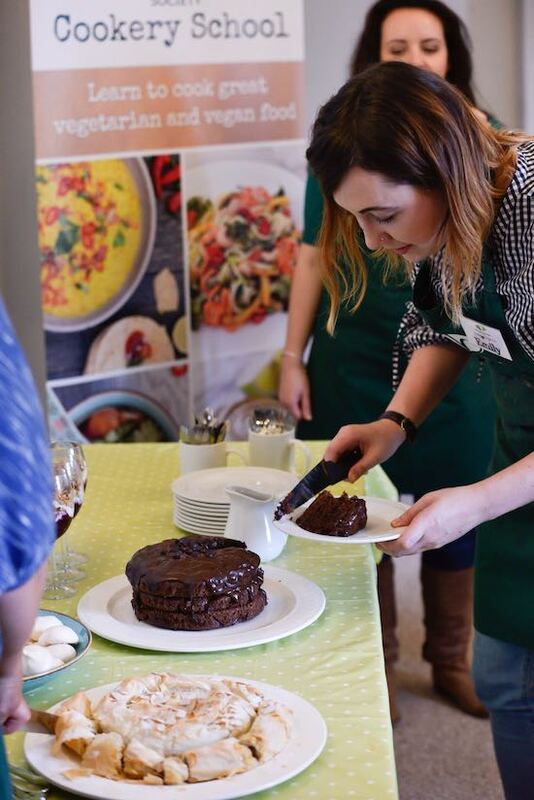 We were there to experience The Vegan Toolkit - featuring the likes of eggless pasta, vegan mayo, cheese-free pesto and dairy free sponge. For the morning, we learnt the basics in vegan pastry, sauces and pasta dough, whipping up some dairy free snacks from their great recipe collection. Mine was the vegan quesadillas with dairy free cheese - complete with avocado of course! I was really impressed with the spicy scrambled tofu and would definitely try that again. For the afternoon, we all picked a recipe each, in order to create the vegan spread of dreams. 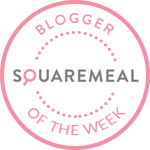 I loved the challenge of this, and that we were mostly left to our own devices with a tray of great quality ingredients and lots of pretty serveware. Alex was of course on hand if we did need anything, and the kitchen staff happily cleaned up around our whirlwind of kilograms and millilitres. We then settled down for a tasty buffet and catch up over a glass of wine. 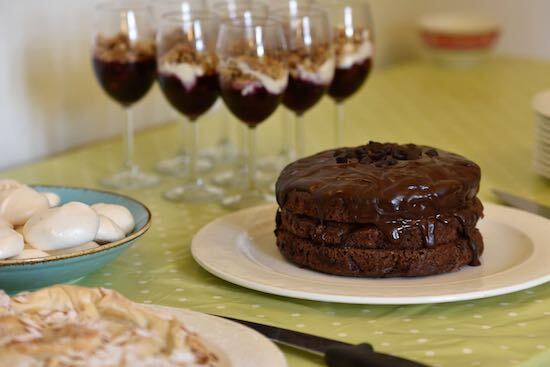 I was so pleased that my vegan chocolate cake went well and everyone seemed to enjoy it! I'll definitely be recreating this plant based treat for my vegan pal. Hats off to the fantastic chefs and staff at The Vegetarian Society - can't wait to start seeing the vegan trademark around the shops and perhaps discover some new products too! Some of the first products to carry the trademark will be from Linda McCartney’s and VBites. 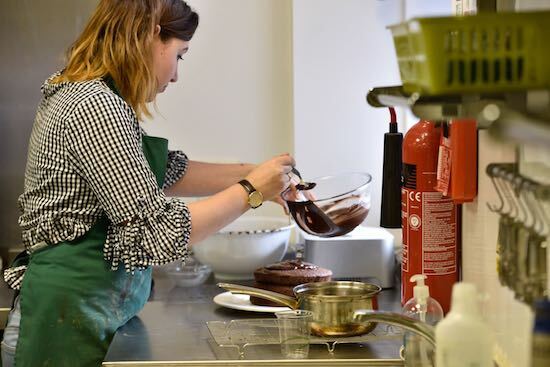 The Retreat Kitchen, Richmond, will be one of the first cafés to carry the Vegetarian Society Approved vegan trademark across its entire home-made menu. The café was founded by Maggie and Claire following their appearance on the TV show ‘The Retreat’ with TV presenter Nick Knowles. Love the vegan lifestyle and are looking for a new plant based event this Summer? Grab free tickets to The Just V Show this July over here. In collaboration with The Vegetarian Society. Photographs courtesy of The Vegetarian Society. slow cooked coca cola beef brisket burgers. white chocolate & pecan cookies.